BECOMING A MEMBER - WHY JOIN? The original founding principle of Rotary was to enlarge one's circle of business and professional acquaintances. As the largest service club in the world, Rotarians represent a cross-section of business owners, executives, managers, political leaders, and professionals. Members have opportunities for humanitarian service, both locally and internationally. 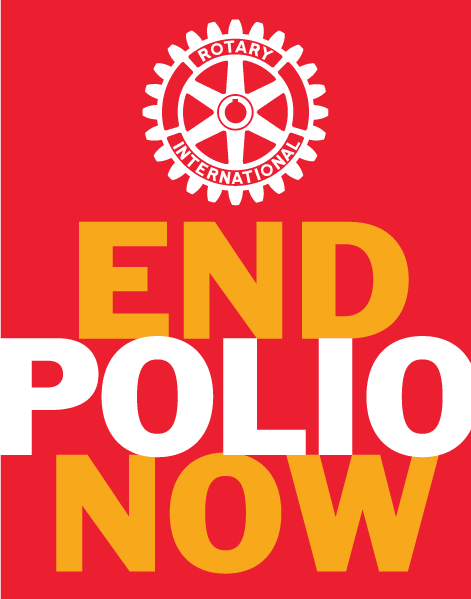 Rotarians addresses needs in health care, hunger, poverty, illiteracy, and the environment. Rotarians experience the fulfillment that comes from giving back to the community. We believe in "Service Above Self". With more than 34,000 Rotary clubs in over 200 countries, Rotarians address the needs of people throughout the world through their service and exchange programs. One of Rotary's highest objectives is to build goodwill and peace throughout the world. Rotarians are world travelers and through Rotary, find a friend in every city and town that has a club. Rotarians often travel to projects in other countries as well as cultural exchanges. Rotary was founded on fellowship, an ideal that remains today. Members enjoy the friendship with other service-oriented professionals, and club projects bring members closer together in friendship. Rotary members who travel make new lifelong friends wherever they travel all over the world. ENTERTAINMENT: Social activities give Rotarians a chance to let loose and have fun. Every Rotary club and district hosts parties and activities that offer diversions from today's demanding professional and personal schedules. Conferences, conventions, assemblies, and social events provide entertainment as well as Rotary information, education, and service. LEADERSHIP DEVELOPMENT: Rotary is an organization of successful professionals. Team building, fundraising, public speaking, planning, organization, and communication are just a sampling of the leadership skills that club members can exercise and enhance. Being a Rotary leader provides further experience in learning how to motivate, inspire, and guide others.